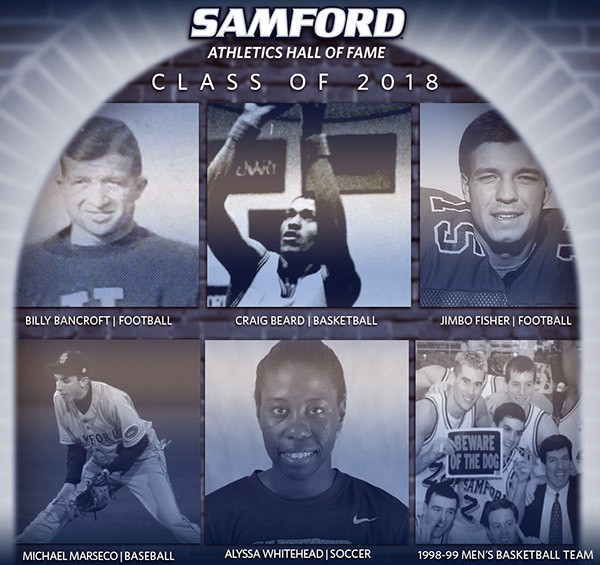 Samford University Athletics has announced members of the second class of the school's Athletics Hall of Fame. Included in the 2018 class will be the 1998-99 men's basketball team, the first full team to be inducted into the hall of fame. The 1998-99 team is joined in the class by former football, basketball and baseball player and coach Billy Bancroft, basketball star Craig Beard, football standout Jimbo Fisher, baseball star Michael Marseco and soccer standout Alyssa Whitehead.